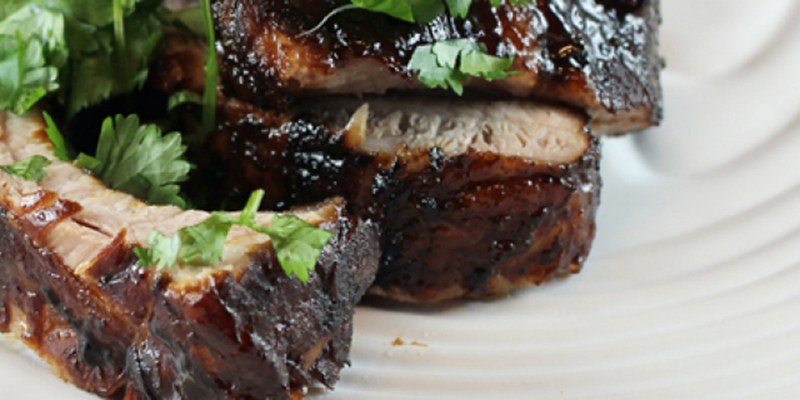 These sous vide ribs are very simple to make, although it does take up to 48 hours to cook. However, you will be rewarded with an extremely moist, and highly flavorful result! Cut ribs into 3 rib sections. In a large bowl, mix together all the rest of the ingredients. Transfer about ⅓ cup of the marinade to a small container. Cover and refrigerate for later use. Add ribs to the remaining marinade and coat the ribs well. Divide ribs between 2 large vacuum seal bags. Seal the bags removing all the air. Place the bags in the water bath for 24-48 hours. When the timer goes off, remove the bag from the water bath. Remove the ribs from the bag. When the grill is hot, place the ribs on the grill. Brush some of the reserved marinade over the ribs. Cook for 3 minutes. Flip the ribs and brush with additional marinade. Continue to cook for 3 minutes. Transfer the ribs to a cutting board and let rest for 5 minutes. Slice the rack into individual ribs.